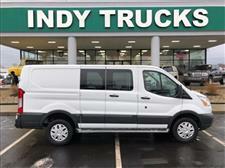 2014 RAM Promaster 1500 FWD 3.6L V6, 6-Speed Automatic Fully loaded with shelving in the back and ladder rack on the top. Call INDY TRUCKS to learn more about this vehicle at 317-218-3613. ProMaster 1500 Low Roof, 3.6L V6 24V VVT.